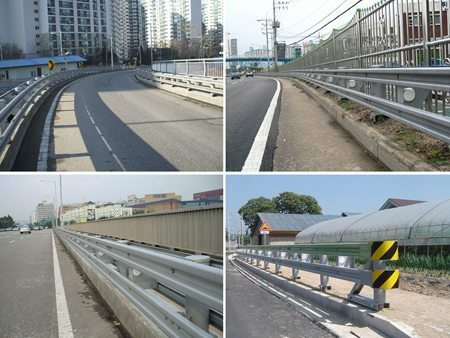 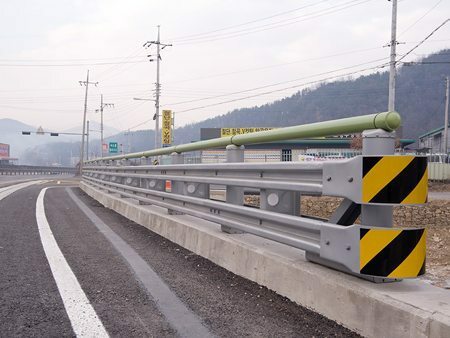 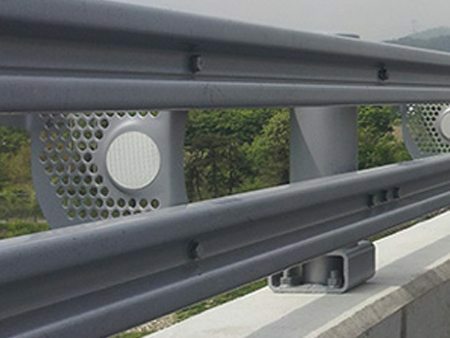 A guard rail is a railing placed along the roadside in order to protect passenger vehicles, cars, pedestrians, and other major facilities around the roadside. 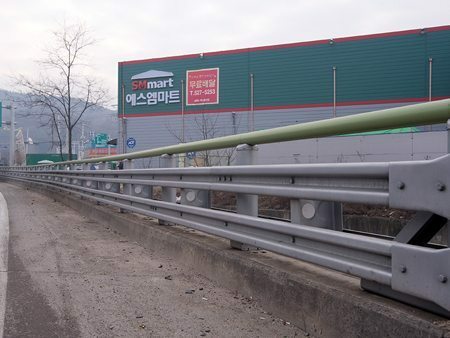 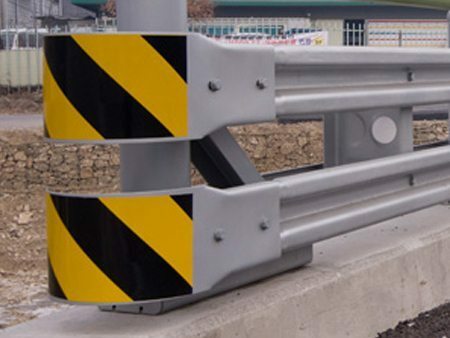 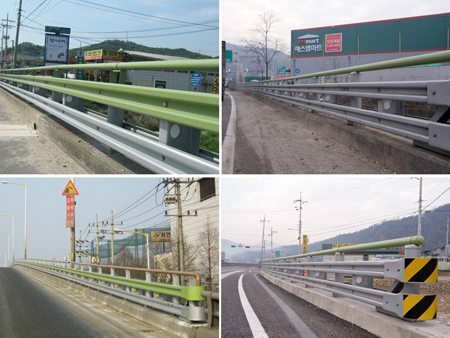 Guardrail is a system designed to keep people or vehicles from straying into dangerous or off-limits areas. 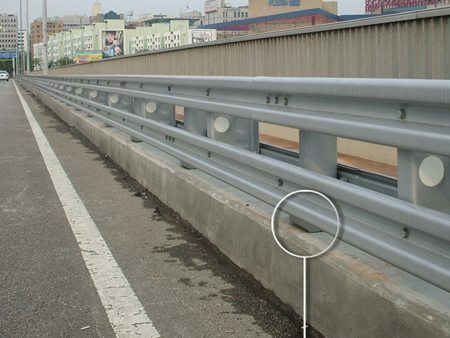 It is often installed on the roads and the bridge.